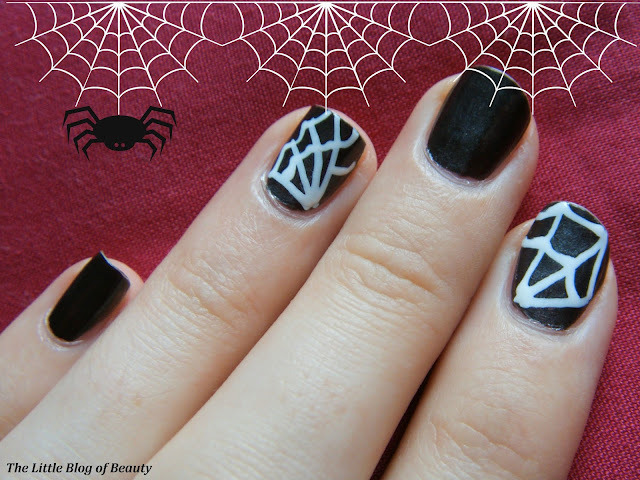 A couple of days ago I posted a very simple nail art look for Halloween and I wanted to try and get another one done before Halloween actually got here. This is another very simple look but one I've been planning to try for a while, I was just waiting to get my hands on some nail art pens that I could actually work with. Can you tell I'm enjoying making use of the Halloween photo effects on Picmonkey?! I wanted a dark base but didn't want it to be a flat black shade so went for W7 in what I believe is called I Don't Know as this is black but with a silver shimmer running through it so it's not as flat and dark. 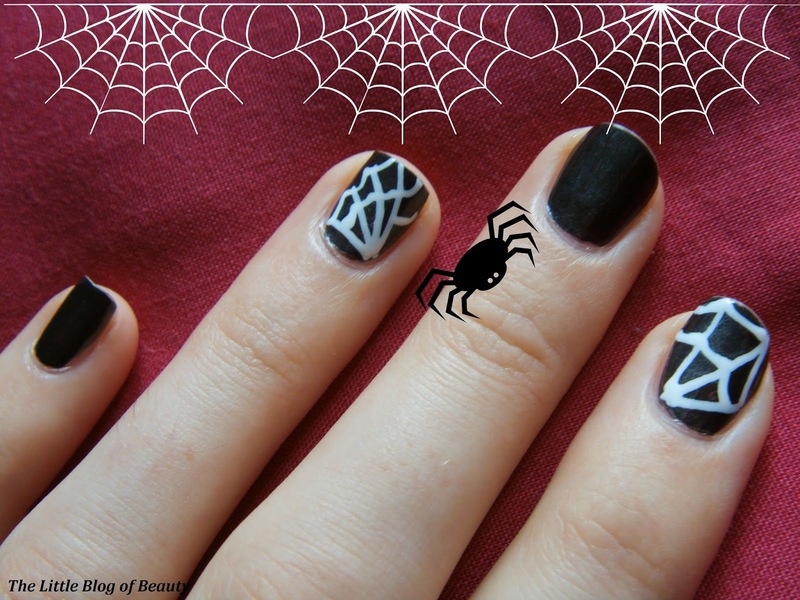 I then just used a Models Own nail art pen in white to draw a cobweb design on a couple of nails and finished it all off with Seche Vite dry fast top coat for a glossy finish. This isn't the most difficult of looks to achieve but you do have to try and get the hang of squeezing the nail art pen just enough so it doesn't come pumping out all over the place! I would have liked the cobwebs to have been thinner and more detailed but this was a first attempt. 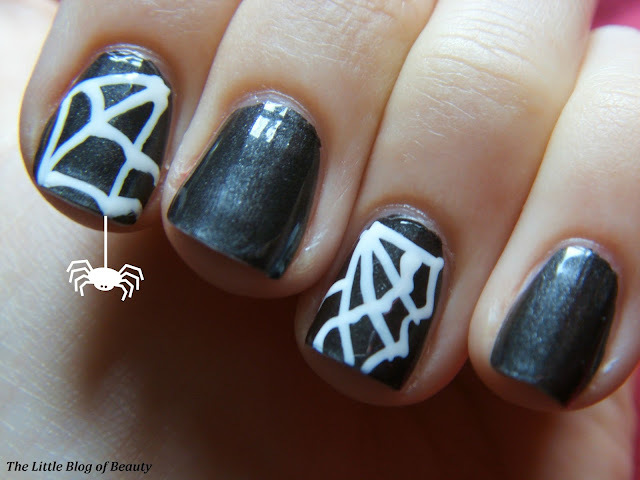 What do you think of webbed nails? Very cute nails, love them! Wow!! These are great!!! Perfect for halloween!